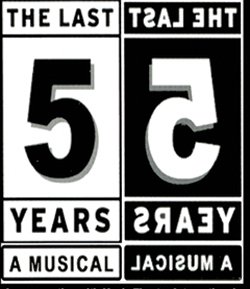 Jason Robert Brown’s semi-autobiographical The Last Five Years plays for a short run this week at Pacific Theatre. It’s the story of a 5-year relationship told in an unconventional way. The woman’s point of view is told backwards from end to beginning while the man tells his side of the story from beginning to end. The two meet only once in the play, in the middle at their wedding. Written by Jason Robert Brown (13, Songs for A New World). Directed by Heather Teeter, musical direction by Dave Rosborough, and lighting design by Jin Kim. Featuring Shalyn McFaul and Joshua McFaul. The Last Five Years, presented by Stone’s Throw Productions, runs from July 14 – July 17, 2010 at the Pacific Theatre, 12th and Hemlock, Vancouver. Tickets are available online or by calling 604-731-5518.